Text: In the Spring of 1914 I had left Paris, with a woman friend, to spend a few days in Touraine, where we were going to see the grave of Leonardo da Vinci. We had walked along the banks of the Loire in mild, sunny weather, and were pleasantly weary by evening. So we decided to go to the cinema in the rather sleepy town of Tours, where I had already paid my respects to the house in which Balzac was born. It was a small suburban cinema, not at all like our modern picture palaces made of chromium and shining glass. Only a hall perfunctorily adapted for the purpose, and full of labourers, soldiers, market women, a crowd of ordinary people enjoying a gossip and blowing clouds of Scaferlati and Caporal tobacco smoke into the air, in definace of a No Smoking sign. First on the screen came a newsreel – ‘News From All Over the World’. A boat race in England; the people talked and laughed. Then a French military parade, and again the audience took little notice. But the third item was entitled: ‘Kaiser Wilhelm Visits Emperor Franz Joseph in Vienna’. Suddenly I saw on the screen the familiar platform of the Westbahnhof in Vienna, an ugly railway station building, along with a few policemen waiting for the train to come in. Then a signal was given, and old Emperor Franz Joseph walked past the guard of honour to welcome his guest. As the old Emperor appeared on the screen, stooping slightly and not entirely steady on his feet as he passed the line of men, the audience in Tours smiled kindly at the old gentleman with his white side whiskers. Then there was a picture of the train coming in, the first, the second and the third class carriages. The door of the saloon car was opened, and out stepped Wilhelm II, the ends of his moustache bristling, wearing the uniform of an Austrian general. At the moment when Kaiser Wilhelm appeared in the picture a storm of whistling and stamping broke out entirely spontaneously in the dark hall. Everyone was shouting and whistling, men, women and children all jeering as if they had been personally insulted. For a second the kindly people of Tours, who knew nothing of the world beyond what was in their newspapers, were out of their minds. I was horrified, deeply horrified. 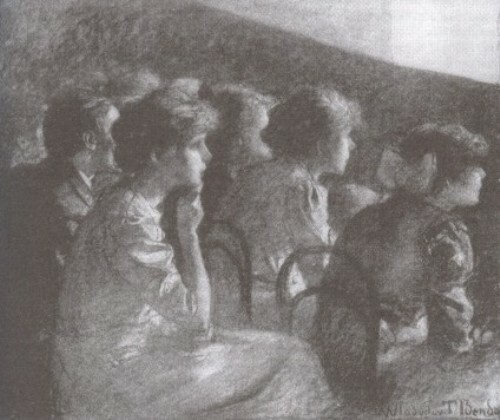 For I felt how far the poisoning of minds must have gone, after years and years of hate propaganda, if even here in a small provincial city the guileless citizens and soldiers had been roused to fury against the Kaiser and Germany – such fury that even a brief glimpse on the screen could provoke such an outburst. It was only a second, a single second. All was forgotten once other pictures were shown. The audience laughed heartily at the comedy that now followed, slapping their knees loudly with delight. Only a second, yes, but it showed me how easy it could be to whip up bad feeling on both sides at a moment of serious crisis, in spite of all attempts to restore understanding, in spite of our own efforts. The entire evening was spoilt for me. I couldn’t sleep. If it had happened in Paris, it would have made me just as uneasy, but it would not have shaken me so much. However, seeing how far hatred had eaten into the kindly, simple people here in the depths of the provinces made me shudder. Comments: Stefan Zweig (1881-1942) was an Austrian novelist and journalist. He committed suicide the day after he completed his memoir The World of Yesterday (originally published in German in Stockholm as Die Welt von Gestern). Kaiser Wilhelm II arrived in Vienna on 26 March 1914. This entry was posted in 1910s, France, Memoirs and tagged Audiences, Cinemas, Comedies, Newsreels, Smoking, Stefan Zweig, Talking, Tours. Bookmark the permalink.